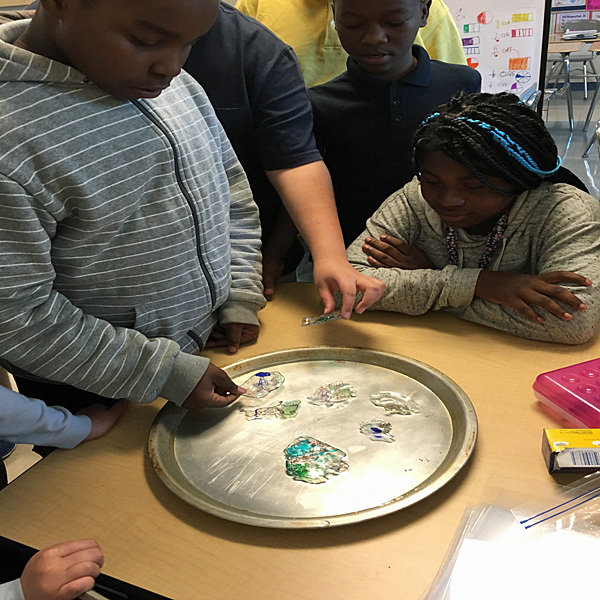 Project Description: After discussing landforms, continents and the layers that make up the earth students will be able to create their own continents and experiment to see how they are affected by various stimuli. In science class before this activity: discuss plate tectonics, the layers of the earth, landforms. Cut the Shrink Film sheets in half, enough so each student can have their own (or you can have them work in groups of two). 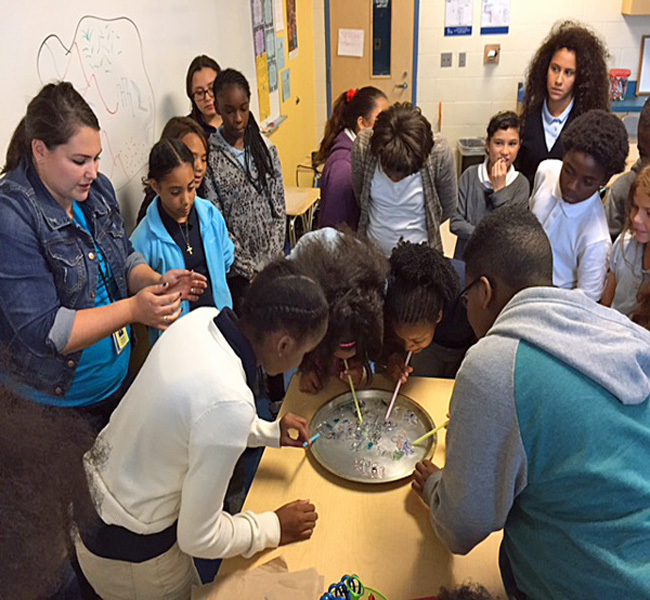 As a whole group, have the students volunteer the landforms they know and what they’ve learned about the earth and its plates. You may want to draw an example continent on the board to show that they can be creative and a minimum number of landforms they need to include. Have the students create their own continents using permanent markers. They should write their name or initials on the inside of the outline of their continent and cut out their own continents. Depending on your class and the number of adults, the next part of the activity may look different. If you are the only adult in the room and you only have one heat gun, the class should now do independent work. 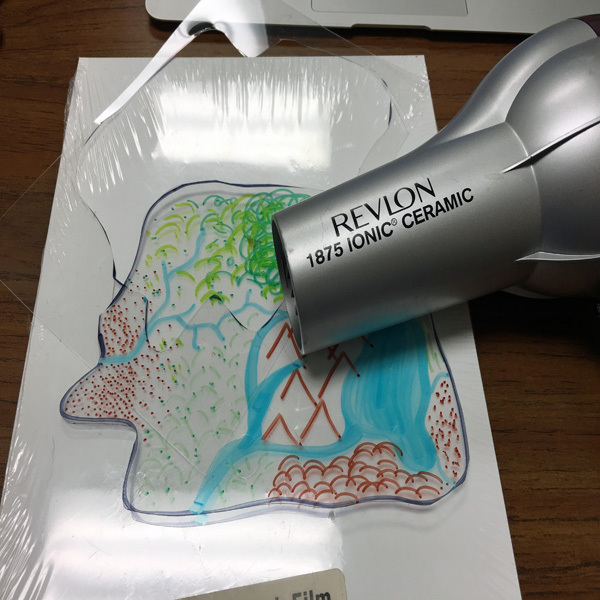 Calling each student (or pair) up individually, use the heat gun to shrink the continents. We suggest having the student hold the gun about 10 inches above your work surface and you use chopsticks to help control the shrink while telling the student to raise or lower the heat gun. 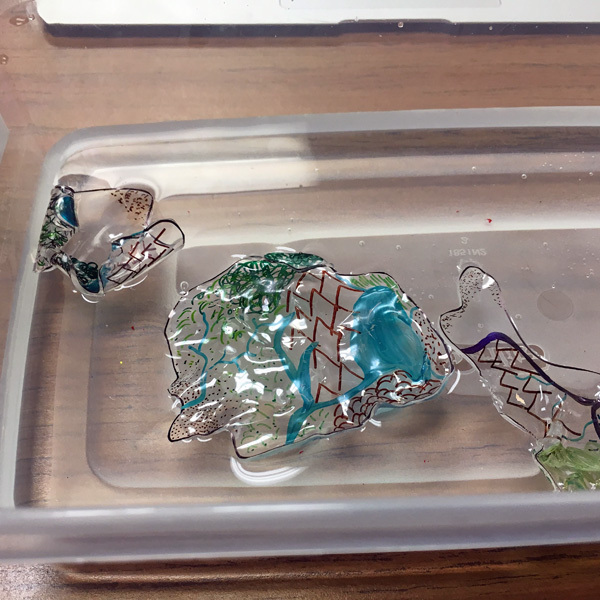 *If you have not used a heat gun before, you should practice this at home before you do this with students* Review instructions on the back of the Shrink Film Package. After all of the continents have been shrunk, it’ s time to experiment. Fill the baking sheet with about an inch of water and have the student place all of the continents gently on top of the water. T o simulate an earthquake have the students shake the desk. For a volcano, have a student put one end of a straw under a continent and blow bubbles and for a meteor strike drop the golf ball from about 3 feet above the baking sheet. After each stimulus, ask the students to discuss how the continents moved; was it subtle or intense? Were all continents affected? 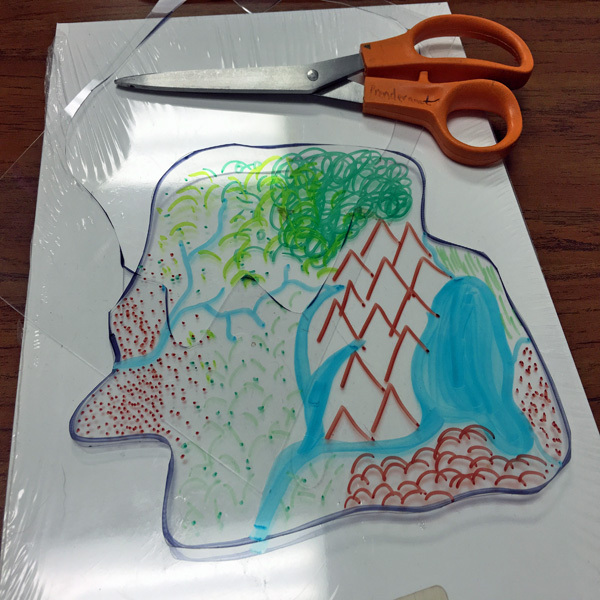 Tips: Instruct the kids to make their continent as large as they can on their shrink paper, since it will be shrinking, if they make it too small to begin with it will shrink very tiny.